Choose your color! If you don't see the exact color you would like, let us know and we can use almost any shade you would like. 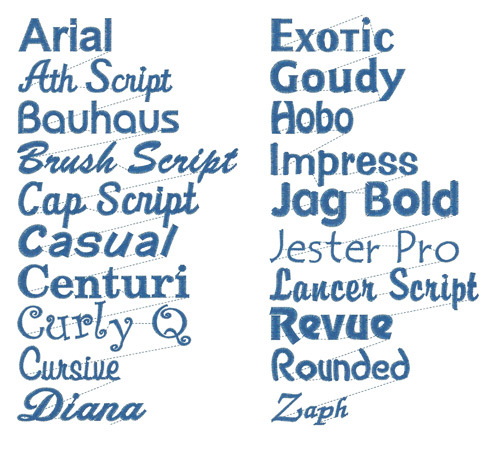 Choose your font! Select which style of font you would like us to use in your personalized embroidery. Personalization Pricing starts at $10.00 for the first line (normally name and title up to 20 characters), plus $2.00 for each additional line up to three total. Bulk discount of 10% off per dozen! *as low as $5.00 ea.